Thomas & Betts Steel City® 1-Piece carpet plate features aluminum construction with brushed aluminum finish. It is suitable for use with flush service floor boxes. 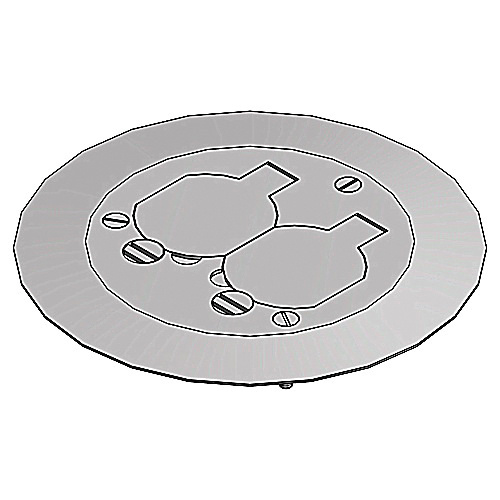 Round carpet plate has diameter of 5-3/4-inches and one duplex receptacle configuration. Carpet plate is UL listed.